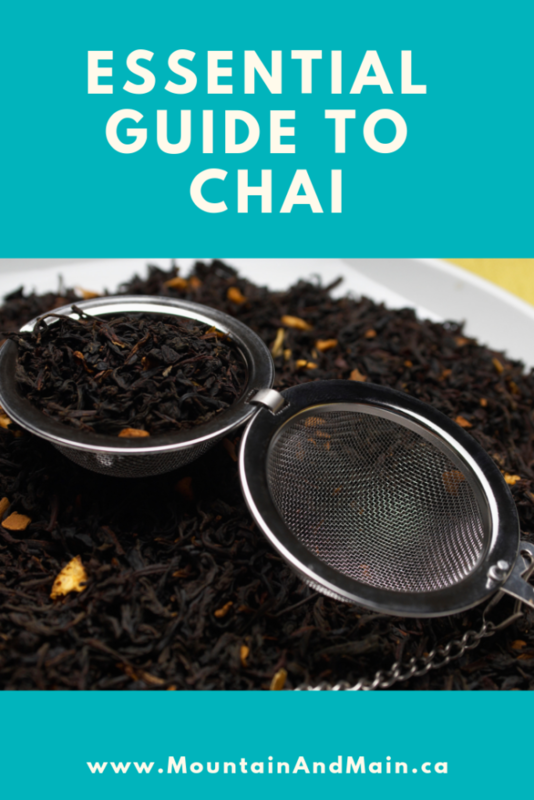 Chai is hands-down our family’s favourite type of tea, but it can be confusing. With 5 different varieties of chai (so far) available from Mountain & Main Tea Company alone, it’s time to help you navigate our offerings. 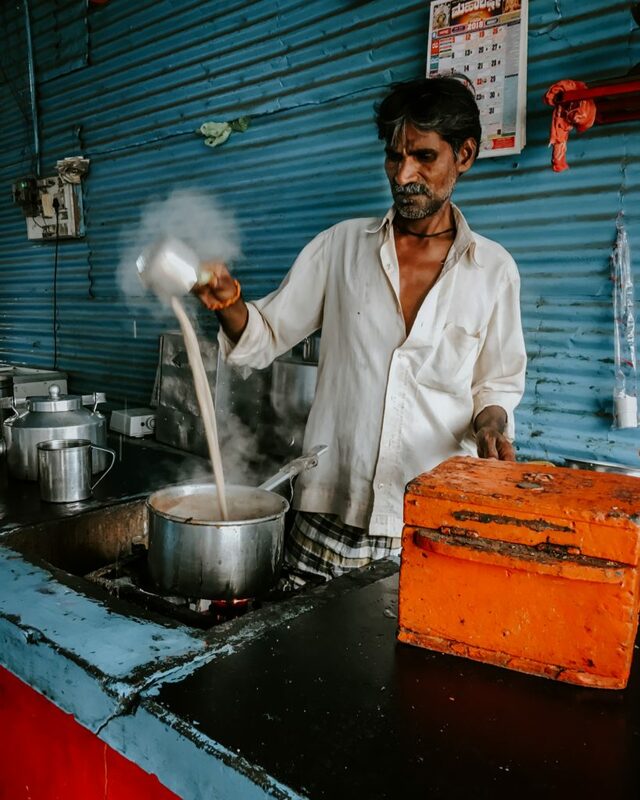 Chai, quite simply, means “tea” in Hindi, and is traditionally black tea boiled in milk with spices and sugar. Today’s chai no longer has to include all the spices, the milk or even the black tea itself, but we like it so much it’s still our go-to. Generally, you’ll find a strong cinnamon flavour paired with spices like cardamum, cloves, ginger or black peppercorns no matter where you get it. Our mildest blends include Indian Spiced Chai, a lightly flavoured black tea with subtle cinnamon notes. If you like it smooth and simple, this is for you. Coconut Chai Rooibos is also a mellow toned chai, for those who want to avoid caffeine. Essential Chai is our black tea blended with cinnamon, cloves, fennel, cardamum and ginger, and with a hint of pepper. Essential Chai is the tea you can’t go wrong with! It’s also a perfect pairing: mix with ginger tea, chocolate tea or eternally nuts for your own creative blends. Cinnamon Bun Chai is a mid-range caffeine free alternative, with strong cinnamon tones. We’ve updated our recipe for 2019 customers with subtle vanilla and cloves to bring out the bakery flavours. For those who like it hot, you can’t go wrong with Firecracker Chai. It warms you to the bones with three different varieties of peppercorns and hot peppers added. Paired with traditional cinnamon, cloves and fennel, this is our signature blend. 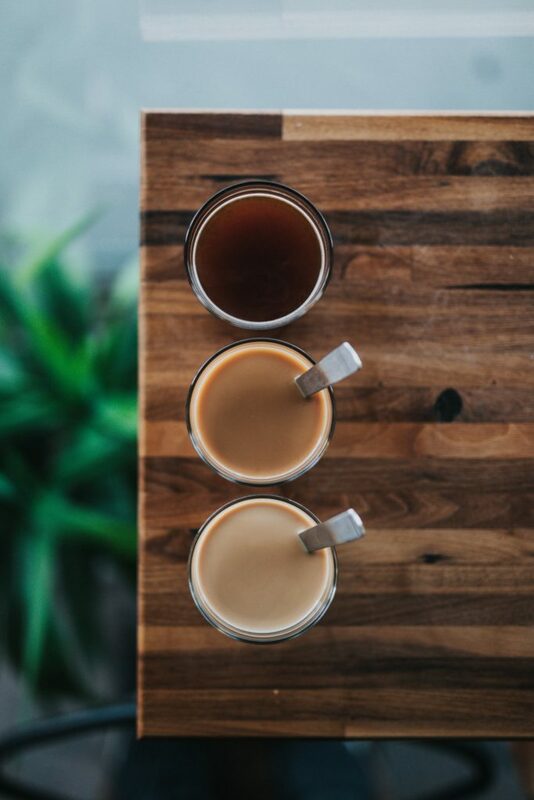 Of course, if you can’t decide we’ve always got our Chai Tea Sampler with four of our most popular chai teas in 3 cup sampler sizes. What’s your chai profile?